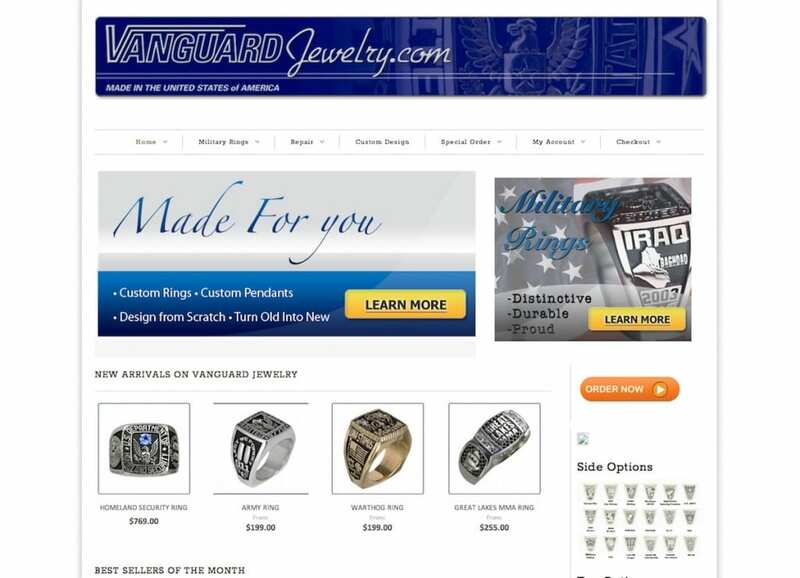 Vanguard Jewelry is a local business based in Grand Rapids, MI. They create customized rings for veterans, offer jewelry repair services, and are always looking to expand their product line up. The site features standard e-commerce functionality, including item showcases, price listings, custom formatting options and toggles, and a complete cart and checkout system. Users can also view order statuses, and always have contact information at the ready if they need to email or call the store. This site, however, is the only example in our portfolio of a site we didn’t build for the client initially, and do not actively maintain the design for. The extent of our work is cleanup services and some detail polishing, as well as a few graphical additions. We also perform little tweaks when the client requests, but other than that Pryor Media does not actively maintain any part of it directly.